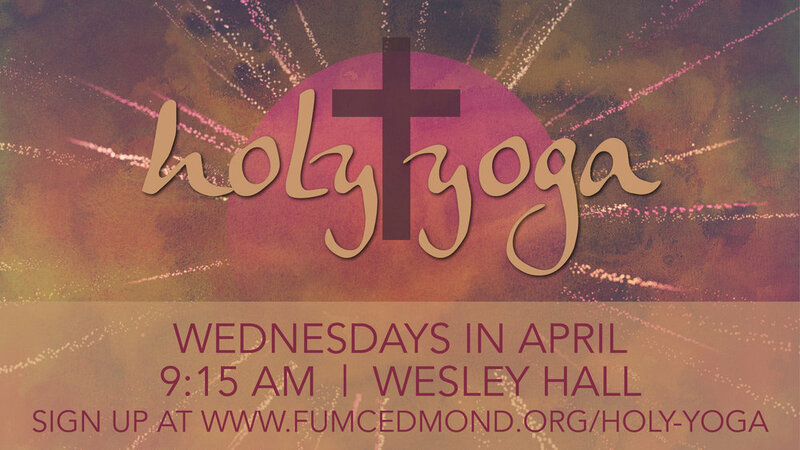 FUMC Edmond is excited to offer Holy Yoga in April! Holy Yoga is the intentional practice of connecting our entire being, body, mind and spirit with God. Holy Yoga is an experiential worship created to deepen people’s connection to God. The FREE class will be offered on Wednesdays during April at 9:15 in Wesley Hall. Sign up for the 4 week class today to be part of this new class led by a certified instructor.